We kick off our best VMA accessories list with Beyonce and Nicki Minaj- Beyonce wore huge black and silver statement earrings by designer Lorraine Schwartz that embellished her dress beautifully without being OTT, while Nicki toned herself down a little in a snakeskin print dress accessorised with a huge peachy coloured quartz ring. 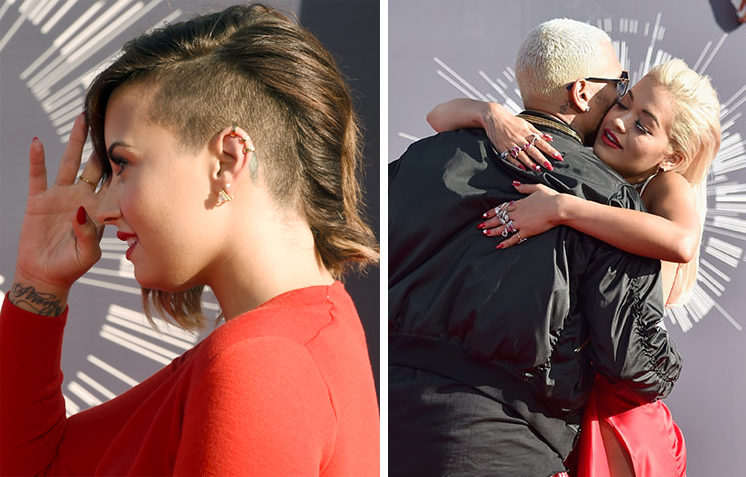 Demi Lovato opted for gold accessories with her red dress while Rita Ora (shown here hugging Chris Brown) went for silver- Demi's triangle lobe earring and gold ear cuffs keep the look embellished but simple while showing her jewellery off with an undercut. Rita's look however was a little more lavish- her manicure reportedly cost $56,000 and includes black diamond polish, hand crafted spiders and ruby bows! With a ring for nearly every finger, she didn't go lightly on the Lorraine Schwartz hand jewellery either, which contrasts beautiful against her silky Donna Karen Atelier dress. Teen Wolf's Holland Roden cracked out a cracking clutch for the occasion in metallic reflective silver with top embellishments. Model Natalie Gal's wrists and hands were stacked to the brim with bangles and rings in both gold and silver which almost stole the limelight from her very loud dress. 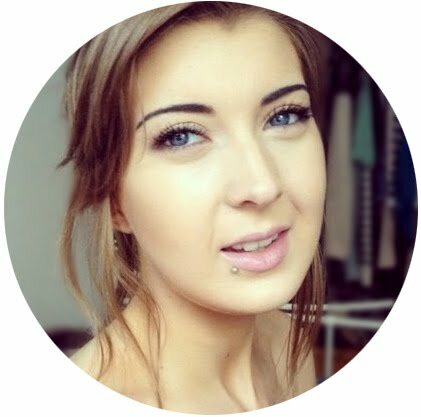 This is a lovely modern take on the boho-esque stacked jewellery trend. Our two awards for worst accessories of the night go to Katy Perry and Amber Rose. As if Katy Perry's denim Versace dress wasn't quite hideous enough, the tacky looking thick silver chain choker has been added to make the outfit that little bit more shocking, and the silver nose ring isn't doing her any favours. To top it off, Riff Raff's orange hair, patterned sunglasses and studded demin jacket is giving us a headache. Don't even get us started on his ring! Keeping with the silver chain vibe, Amber Rose seems to have forgotten her dress and skipped straight to the accessories. Thankfully she remembered her underwear because if there's a way to show much more skin on a red carpet, then we don't know about it! Half necklace, half dress, but not quite either! 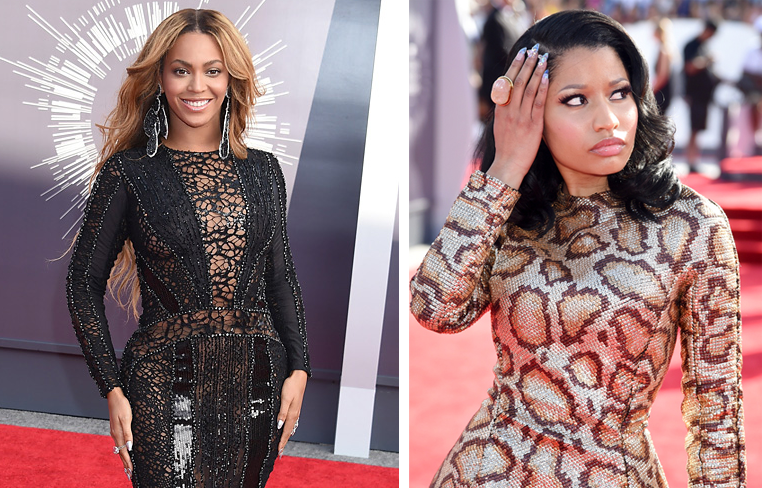 What did you think were the best and worst accessories of the 2014 VMAs?